Dropbox link to hi-res brand material | For terms of usage or questions, please contact us! 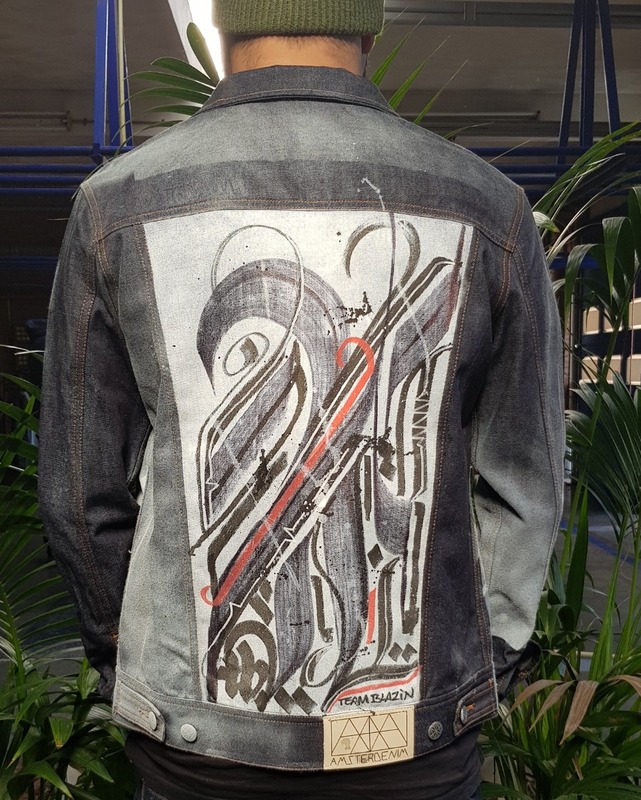 Binnenkort aan de Gravenstraat 4 midden in Amsterdam: "Amsterdenim Pop-Up Store by Marcus Vintage"! De voorbereiden zijn in volle gang en naar verwachting zal de winkel op zaterdag 18 november haar deuren openen. This Saturday the Amsterdenim crew visited Welcome to the Village festival to watch the Broken Brass Ensemble perform on the mainstage. The 5th anniversary of both the WTTV festival and Broken Brass Ensemble gave this performance some extra energy. The Amsterdenim crew travelled in style, in cooperation with Harley Davidson travelling was a great pleasure. An Iron 883 and the 750 Street Rod where taken from the Amsterdenim showroom along the Dutch IJsselmeer (the IJsselmeer, is a closed off inland bay in the central Netherlands bordering the provinces of Flevoland, North Holland and Friesland. It measures 1100 km² with an average depth of 5,5 m. The river IJssel flows into the IJsselmeer) to the Frisian capital of Leeuwarden. 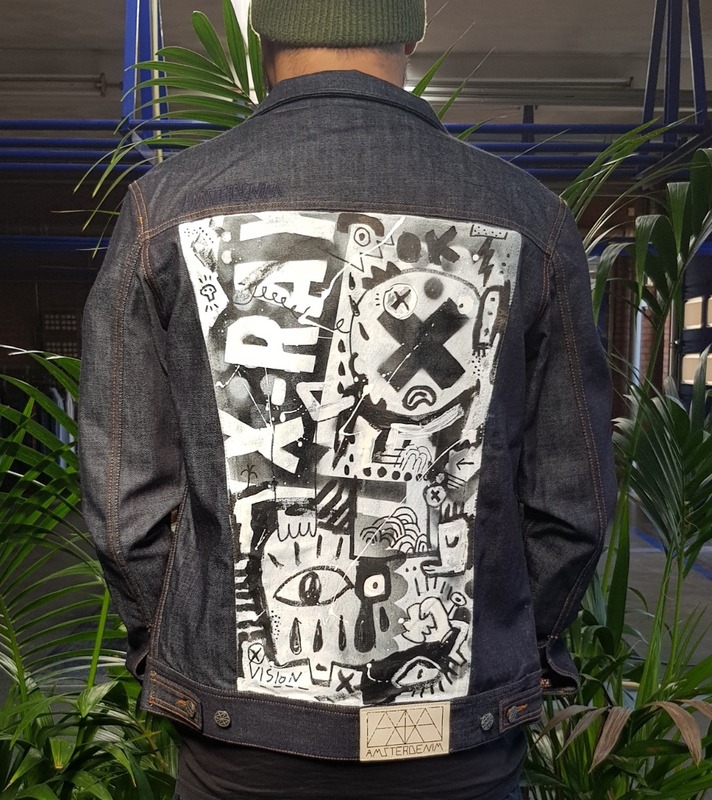 You can find more pictures and videos on our Amsterdenim Instagram and Amsterdenim Facebook page. Who is the Broken Brass Ensemble? Broken Brass Ensemble injects the traditional New Orleans brass with a fusion of hiphop, funk, soul, dance, jazz (and much more) and turn it into a blazing mixture of energy. They’re taking brass to a new level, creating a 2.0 version of the vibrant New Orleans brass sound in a light you’ve never seen before! Combining the powers of funk, jazz, hip-hop and soul, Broken Brass Ensemble act as urban brass ambassadors, pioneering on their euphoric groove. The band have an innate ability to orchestrate a nostalgic New Orleans hot jazz sound, incorporating weird, wonderful and peculiar melodies, in fabulous superhero fashion, with their proven method in creating heroic melodies. With origins based in the Netherlands, Broken Brass Ensemble have been firing up a storm all over Europe with an energizing and eclectic aesthetic, pairing punchy basses with hard-hitting brass. Selling out on CDs and vinyl from their previous album ‘Brasshopper’ in just over a year, and consistently filling 300 capacity venues without promotion and on merit alone, shows that underestimating this octet is out of the question. About Welcome to The Village? A small village with large ambitions. During the United Nations Sustainable Development Summit 2015 in New York, a list with 17 Sustainable Development Goals was drafted by 193 world leaders. These goals are the source of inspiration for Welcome to The Village. With our festival we want to challenge you to investigate new initiatives by means of performance art, visual arts, social design and an innovation program. How? By being part of our mini-society. Welcome to The Village is a transient free state where there's room for trying out experiments, initiatives and products for a sustainable society. This is the place where you can enjoy excellent new music, but also partake in the various experiments being carried out by our knowledge partners. In short: a visit to our festival means you're music enthusiast, sponsor and guinea pig, all rolled into one festival-fancy package. For us, Welcome to The Village goes on, even when the summer has ended. We are in operation all year long and work in partnership with dozens of communities, knowledge institutions, companies and over 600 volunteers in order to realize our objectives. We are absolutely positive about working with cultural entrepreneurs, scientists, newcomers, novices, seniors, Individual Pupil Funding Scheme students, thinkers and go-getters working on long-term solutions for our festival and the world around us. We are a platform for new sounds, visions, ideas and experiments. Pop is our bedrock, but Welcome to The Village also is a festival exploring the possibilities for a better world. This is a festival that aspires to be more than a 3-day event. We had a great time travelling to Leeuwarden and really liked the festival, if you are looking for a creative festival this needs to be on your 'bucketlist' for next year. It is intimate, creative, is held on a great location and has a mix of really nice visitors. Netflix founder and CEO Reid Hastings predicts the future of television on RTL Late Night with Umberto Tan. The blue Amsterdenim sweater (style: GIJS, this man is a trend-setter indeed) he wore that evening, will be available again this Fall, this time not only in Blue and White but also in Brown and Grey - stay tuned! New collaboration with Kazmok! For Spring / Summer 2018 we're offering this heavy duty belt with a unique story ... These belts are made from the actual luggage belt from Amsterdam Airport Schiphol. Size is 120 cm, adjustable to your needs. Wear an actual piece of Amsterdam to complement your jeans! 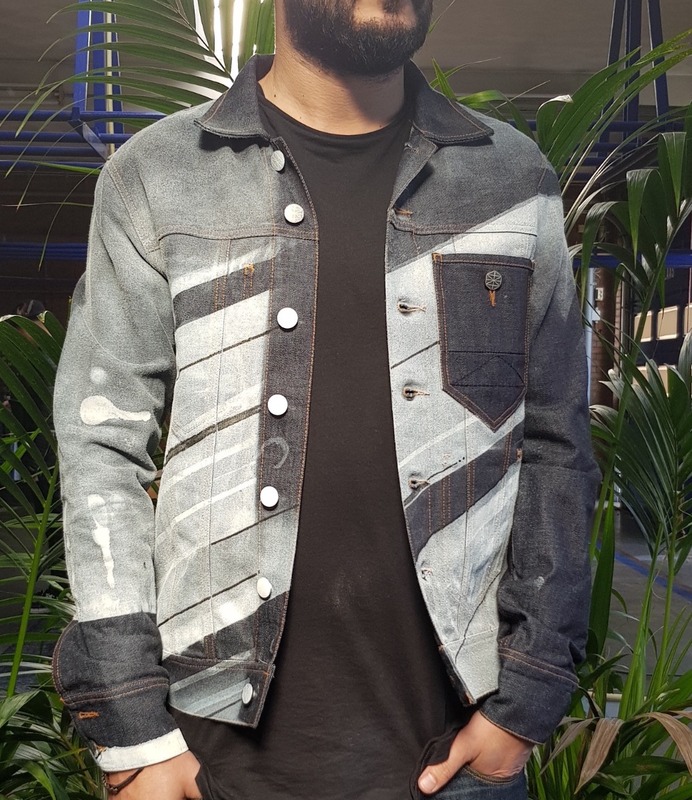 Jacket: "MOOS" denim jacket with Mao collar in "Long Weekend Wash" by Martelli | Jeans: "KEES" skinny fit jeans in "3D wash". Jeans: "KEES" skinny fit jeans in "3D wash". 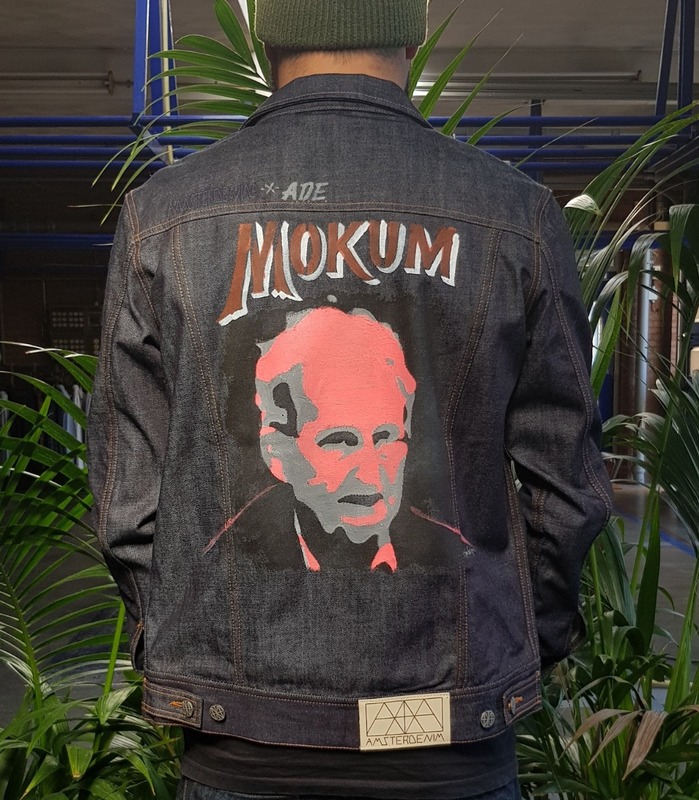 Latest column 'Selected Items' by Wouter Munichs for the Dutch magazine Jeans Cult (magazine for professionals in the denim industry) is out now! New York Denim Days - Coming 2017! from Kingpins on Vimeo. Now also online at Cosmic Cowboys! Het welbekende evenement: Amsterdam Open Air, staat alweer voor de deur. Voor dit evenement hebben wij onze “Amsterdam Open Air outfit” samengesteld. d’Oude Seylmakerij - Een karakteristiek pand, gevestigd in het bruisende Grou. Liggend aan de kade met prachtig uitzicht op het water en de schepen. Een bedrijf met historie waar vroeger de zeilen werden gemaakt en getaand, met dezelfde techniek waarop wij onze jeans bewerken. Ze hebben o.a. de eerste zeilen van het koninklijk schip, de Groene Draeck gemaakt (ook getaand natuurlijk). Momenteel zijn ze in de volle voorbereiding voor de opening van het watersportseizoen, aanstaand weekend. Voor dit welbekende evenement, hebben wij “our watersportseizoen favourites” op een rijtje gezet. 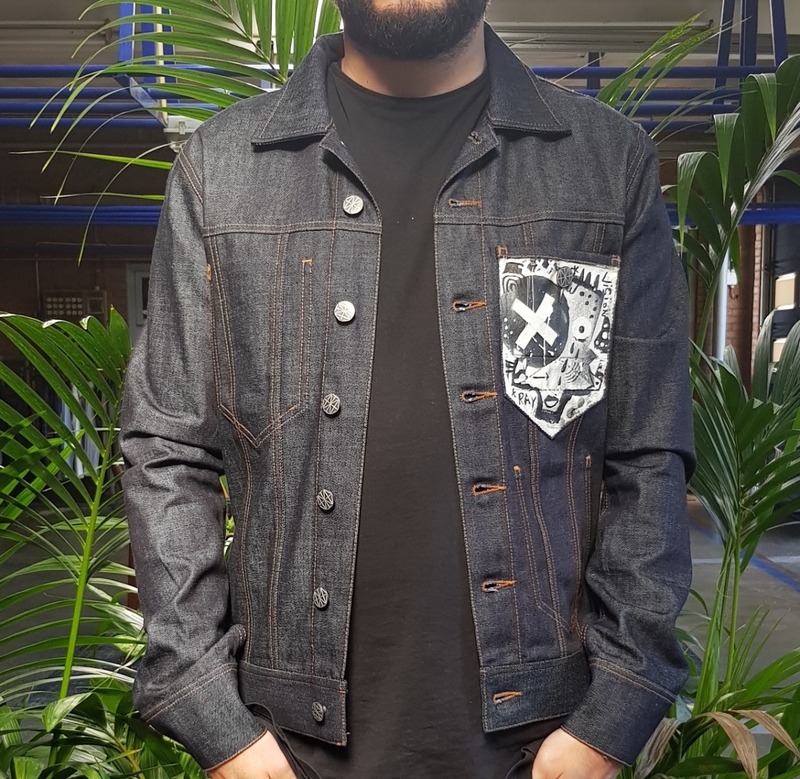 Ons stoere, industriële pand (voormalig banden servicepunt), wordt momenteel ‘verspijkerd’ tot Denim servicepunt. De verbouwing in ons nieuwe pand is in volle gang en graag bieden wij u vol enthousiasme een Sneak Peek, want Amsterdenim is aangemeerd op de plek waar ons merk voor staat: ken de historie, zie de historie, voel de historie. Wat nu een ruwe versie is, wordt onze herkenbare thuisbasis in het bedrijvige en ‘upcoming Amsterdam-Noord, van waaruit wij de Nationale en Internationale markt full service bedienen. Vanuit ons nieuwe HQ, bieden wij de vertrouwde volledige service, van persoonlijk klantcontact tot distributie. Hier bouwen wij door op onze ideeën vanuit het verleden, heden, de toekomst en daar voorbij. Amsterdenim is te vinden aan de Spijkerkade 11 te Amsterdam. The "Gouden Bocht" (Golden Bend) is the most prestigious part of the Herengracht in Amsterdam, between Leidsestraat and Vijzelstraat. In the curve, by the Nieuwe Spiegelstraat, lived Amsterdam's richest citizens, and so this part of the belt of canals was named "The Golden Bend" in recent history. Two quantities are in the Golden Ratio if their ration is the same as their sum to the larger of the two quantities. The golden ratio is also called the golden mean, golden section or "divine proportion". Many artists and architects, including Leonardo Da Vince, La Corbusier and Dalí have proportioned their works to approximate the golden ratio. The golden ratio also appears in some patterns in nature, including the spiral arrangement of leaves and the bones in the human hand. Style: REMBRANDT - 13 Oz. loose tapered fit selvedge jeans. Made in Italy with Candiani Denim, hand-tanned in Holland by Jani Mendes. Style: REMBRANDT - 13 Oz. loose tapered fit selvedge jeans. Made in Italy with Candiani Denim, hand-tanned in Holland by Jani Mendes.